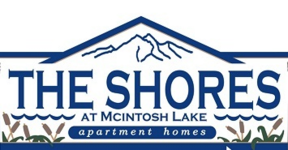 The Shores at McIntosh Lake Apartments brings luxurious living right to the doorstep of the Rocky Mountains and everything Colorado has to offer! Living adjacent to McIntosh Lake means you can step out your front door and right to your next hiking, biking, or kayaking adventure! You’ll love the amenities: a gated community with clubhouse, heated swimming pool and outdoor hot tub, 24-hour fitness area, playground and so much more. Choose from one-, two- and three-bedroom apartments. There are five well-designed floor plans—you’ll find just the right one for your lifestyle. Nine-foot ceilings, gas fireplaces and a large patio area make these units live even larger! The Shores is pet-friendly (for approved pets), and features an off-leash dog park right on the property. Short-term leases are available. Call for more information. You’ll want to see The Shores for yourself!